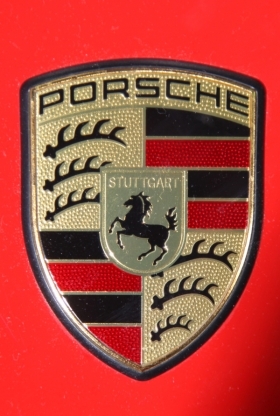 Porsche AG is set to return to the 2011 Detroit auto show after a three-year hiatus. Porsche pulled out of the show in 2008, citing a desire for “more personal, direct ways to reach out and communicate to its potential customer base.” But in a setback to Detroit show organizers, the German automaker continued to participate in the Los Angeles auto show. Porsche's impending merger with Volkswagen AG also may have contributed to the brand's return to the Detroit show, said show spokesman Sam Locricchio, who confirmed Porsche's plans. “Volkswagen will definitely occupy a portion of the floor plan at next year's show,” said Locricchio. Porsche and VW did not return phone calls seeking comment. Several other brands also have dropped out of the Detroit show in recent years, including Ferrari, Infiniti, Land Rover, Mitsubishi, Nissan, Rolls-Royce and Suzuki. Nissan and Infiniti are currently negotiating for floor space at the 2011 show but have not made an official commitment to the show, said Locricchio. "The demand for space is very strong. People see the market coming back,” Bill Perkins, co-chairman of the Detroit auto show, told the Detroit Free Press. Perkins said several other carmakers are negotiating to return to the show, but he declined to provide specifics due to unsettled details. Show organizers also plan a major electric car exhibit for 2011. Porsche plans to release the new 911 Carrera GTS in 2011. The new 911 features a 3.8-liter flat-six engine with direct fuel injection, and 408 hp -- 23 hp more than the 911 Carrera S. The 2011 North American International Auto Show will run Jan. 10-23 and feature 500 brands.